The Ichthyosaurs found at the Berlin-Ichthyosaur State Park, about 100 miles south of the areas Sander is exploring, are Nevada's official state fossil. These are important as they are among the largest Ichthyosaurs found world-wide. 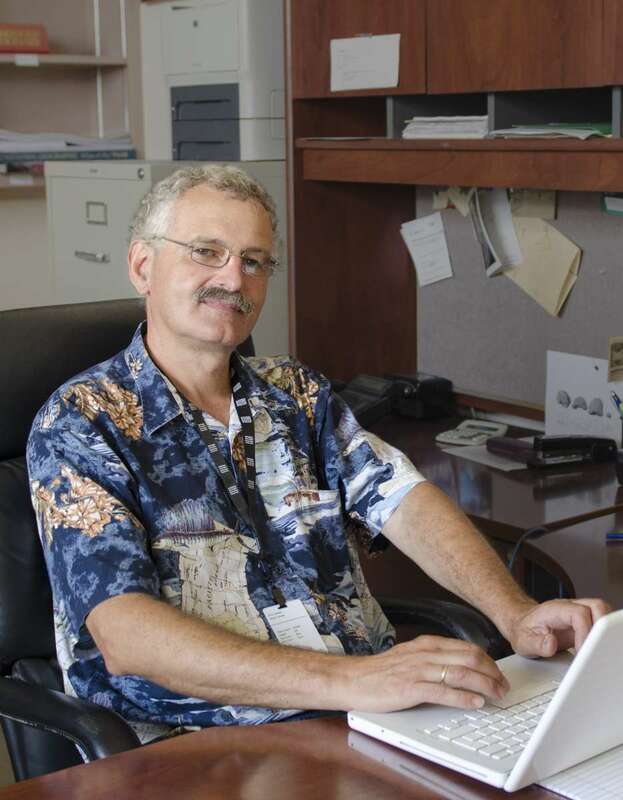 Dr. Martin Sander is a world renowned Vertebrate Paleontologist who trained in Germany, the U.S., and Switzerland. 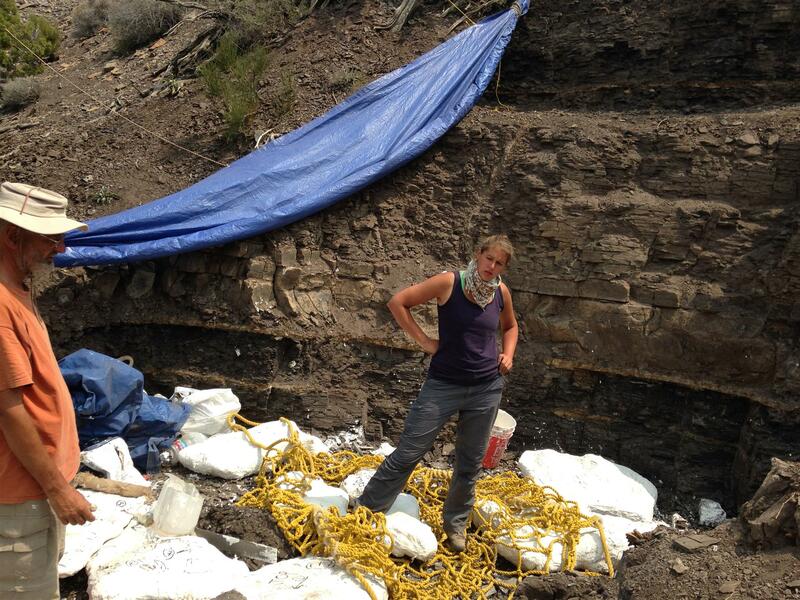 It is the Triassic ichthyosaurs of Nevada that links him to the Dinosaur Institute and NHMLA. 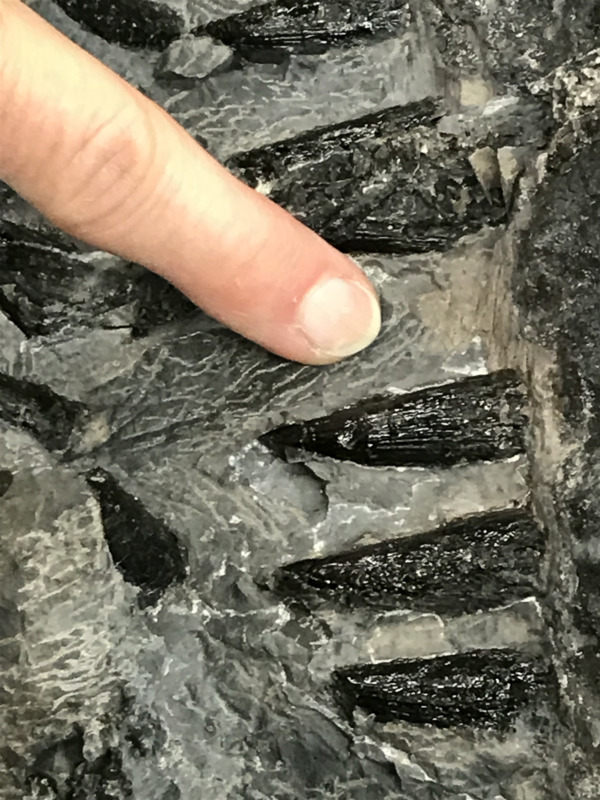 These fossils provide exciting insights into ecosystem recovery after the end-Permian mass extinction. What makes fossil vertebrates so fascinating for him is that bone preserves its microstructure in addition to its shape. Studying fossil bone thin sections under a polarizing microscope, Dr. Sander reconstructs the life history of a dinosaur, finding out amazing things such as evidence that there were island dwarf dinosaurs, similar to the island dwarf mammoths of the Channel Islands of California. 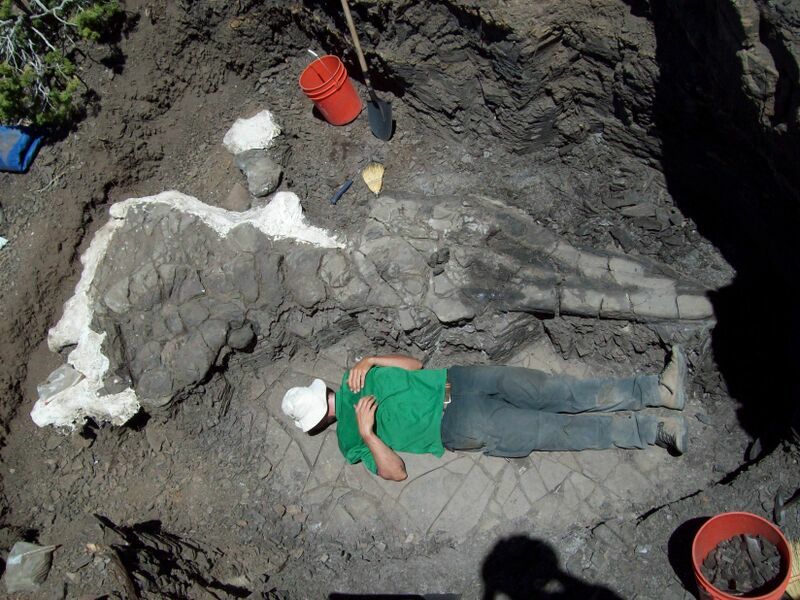 This led him to asking how those long-necked giants, the sauropod dinosaurs, could evolve to their enormous size. By working with a team of scientist with wide-ranging backgrounds, he realizes that a special combination of primitive characters and evolutionary innovations made sauropod gigantism possible.